How does inquiry-based learning work in interdisciplinary, practical teaching contexts? 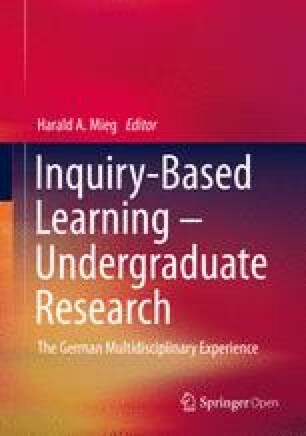 This chapter presents examples of interdisciplinary inquiry-based learning and the associated basic conditions. The conclusion is comprised of three theses. We claim that inter- and transdisciplinarity require a new unity of teaching and research.